From Steps to Somersaults: What is the best age to start dance? What is the best age to start dance? Is it younger, when little minds are still growing and changing, or older, once we have a sense of what our strengths and limitations are. When I think back to my own personal experience with starting dance, and that of my sister and brothers, the answer becomes abundantly clear. I was seven years old, wearing a pair of old runners, board shorts and a slightly over sized t-shirt. We warmed up to ‘One in a Million’ by Hannah Montana, and then split up into groups to work on different routines. It was midway through the year, so getting-to-know-you-games were not on the agenda, but that didn’t matter. I was so focused on getting the steps that the only reason I paid any attention to anyone else in the class was to copy their feet. My younger sister was four at the time. She started classes at the same time as me, and she picked up the steps and moves much faster than I did. The two of us are still dancing ten years later, now joined by both of our younger brothers; the first of whom is twelve and in the same tap class as my sister and me, and the second started musical theatre this year at the age of eight. My point is, as an older student, the age at which you start dancing, really doesn’t matter. You hear of people starting dance in their teens and still succeeding in pursuing a career in the performing arts. A perfect example of this is Emily Langridge, a past student of Do Dance Academy and a personal inspiration of mine. Emily started dancing at 15, and since then, she has been accepted into the Western Australian Academy of Performing Arts (WAAPA), stared as Cossette in Cameron Macintosh’s recent international touring production of Les Misérables. All that’s important in the beginning is passion. The discipline to persist and the confidence to achieve will come later, but they will always come. 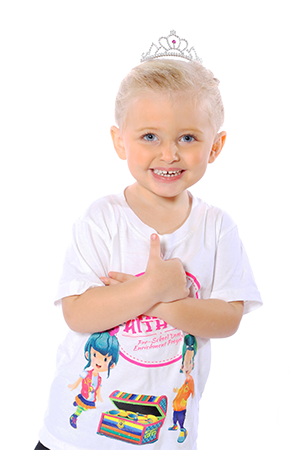 As I said before, I believe that anyone of any age can learn how to dance; however, for kids in their toddler years, there is evidence to suggest that the best age for little-ones to begin dancing is from around 3 years of age. A study done at Harvard suggests that a developing child’s brain is similar to the process of building a house. “The timing and quality of early experiences combine to shape brain architecture, your genetics is the blueprint, a healthy environment supplies the building materials, and their experiences build the house”. Due to this concept, it was theorized that there is a window of opportunity for young minds to learn certain skills, and that attempting to teach a young child a certain task before that window of opportunity has opened would be futile. This study also suggests that while it is far from impossible to teach a task after the window of opportunity has closed, children tend to pick up certain activities much faster if taught during this sensitive period. Juanita Weissensteiner, senior consultant in Athlete Pathways and Development at the Australian Institute of Sport (AIS) suggests that if parents foresee an active pathway in their child, then the key is a vast repertoire of basic movement skills, locomotion and full body co-ordination starting in their toddler years. This means that while a parent might be absolutely set on their son or daughter doing doing, say, ballet, it is beneficial for the young development of children to try a large range of different dance subjects. The only exception to this is gymnastics or acrobatics. Studies show that if excelling in this subject is the ultimate goal, then the flexibility and core strength should be nurtured from around the age five years, and preferably below the age of 8 when flexibility is at its maximum capability. Starting after this point makes it much harder, especially if the student in question doesn’t possess natural flexibility; – On that, you can take me by my word. Up until that point however, experimenting with other styles of dance and movement is absolutely encouraged. In relation to other styles, I have found that the subject most commonly associated with dance is ballet. Given how complicated ballet is with all of its technique and structure, it makes sense to assume that ballet is another subject that should be taught at a younger age. However, according to Lynn Wallis, Artistic director of the Royal Academy of Dance (RAD) in London, the age at which a student starts ballet isn’t important at all, and to really excel in ballet, all a student needs is a captivating and understanding teacher. “It is so important to find a teacher who guides each child according to their individual needs”. Depending on the student, this could mean someone that pushes them as far as they can, or someone that teaches every step for as long as it takes for that student to be able to do it confidently on their own. When I have learnt routines and combinations in the past, it sometimes felt like I had to work twice as hard as some of the students just to do the simplest steps, but I can definitely agree that having a good teacher can make all the difference in not just learning a routine, but also in enjoying the process. For the parents, in terms of opportunities for young children to experiment with movement and dance, the Commonwealth Society of Teachers Dance (CSTD) program, ‘Come Dance with Me’ is offered to students three to four years of age, with levels 1 and 2 for each age group respectively. After finishing the two years (though doing the two years of classes is not compulsory), the students go into main stream classes specializing in subjects of their own choice. 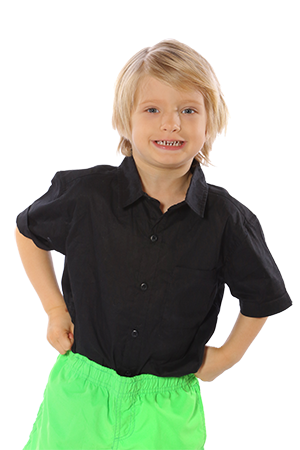 This program is available at Do Dance Academy, as well as the parent’s jazz class for the more mature-aged dancers out there. The thing about dancing in general, is that a natural ability is not important. Just like having a good teacher is crucial, having a good work ethic is equally so; but more beneficial than that is enjoyment and fun. As long as a student finds happiness in dancing, then picking up any subject at any point is absolutely possible. As long as you love it, you can do it, and that doesn’t just apply to dance. Well, I think that’s all I have to say on this topic. 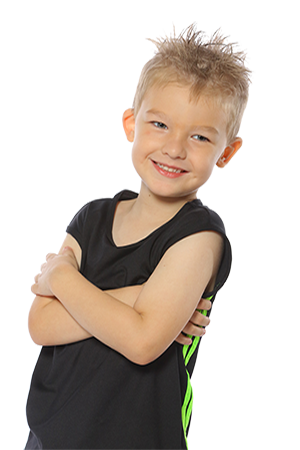 If you have any questions about anything regarding the classes on offer at Do Dance Academy, please do not hesitate to contact us either by our email admin@dodance.com.au or call us on 0402 905 861. Tappers, Twirlers and Theatre Troupes: Which is the Best Dance Class?